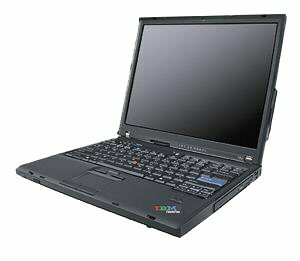 IBM Lenovo ThinkPad T60p is one of the first ISV certified laptops that features Intel Centrino Duo dual-core processor with Intel Virtualization Technology and built-in wide area networking via Verizon’s 3G EV-DO cellular data network. Other specifications include 1 GB of RAM,100 GB of serial ATA hard disk, ATI Mobility FireGL V5200 chipset with 512 MB of on-board RAM, 15″ UXGA (1600×1200) Flexview LCD screen, Wireless connectivity, Bluetooth connectivity, Gigabit Ethernet and built-in combo DVD/CD-RW drive. NotebookReview concluded that “I am really happy with my purchase so far. The biometrics security and the IPS screen is my favorite part. For anyone considering a different notebook that doesn’t use IPS technology, they should think twice. The IPS screen is a huge difference. I believe this is a must buy notebook for any business user where security and durability is important.